This is the longest hiatus I have ever had from MSJ. I am astonished that you faithful readers keep coming back and reading in my absence. Hopefully something I wrote somewhere along this journey gave you something to smile about! At this point, headlines would not even fit the bill for the last two months of craziness in the Crosby household. We had the Great Computer Crash of 2012 which began with a mystery download from an unnamed son (who knows better) which slowed our computer to a snail’s pace, but gave us a nice icon of Jesus wearing red head phones. So, off the tower went to Howard, the other savior (little s). THEN, the plug-in dealie on my laptop broke… broke right off the board (whatever that means). We are still in denial about having to pay the same cost as buying a new laptop to have it repaired. So we have been internetless since December10th…. until yesterday. Good thing there was a three week road trip in there! It wasn’t our original plan, but it worked in our favor to drive up and down the western states and into Canada using our friends’ and relatives’ computers. The Crosby Canadian Christmas Adventure was cold but quite enjoyable spending time in British Columbia… by the fire place and eating hot soup and sipping warm cocoa. Rick and the older kids went to a spin class several times, but also took in: swimming, ice skating, paint ball, pickle ball, a glow-in-the-dark ping pong tournament, snowboarding and skiing. The kids haven’t seen their Uncle Glen in 10 years! Hopefully it won’t be that long next time! Thirty-six hours after we returned from the west coast road trip, we embarked on our southwest road trip to take Larisa (our firstborn, first graduate, first everything) to Oral Roberts University in Tulsa, OK. If you haven’t been to ORU (or to the 1960s in a while), it is a trippy scene….. I’ve never seen so many buildings made of gold and sidewalks that are diagonal. Seriously, if you are a film producer and need a 1960s set, DON’T BUILD ONE! Go to Tulsa; it’s all there for your 1960s dreams to come true. Yes, I still accidentally set six places at the table on the first night home, but there were no tears. Only smiles of joy and gladness. And I can blog again. My world is right-side up, despite a choppy start to 2013. Happy New Year! OK, so I was slightly spoiled last week. Rickey gave me an early Christmas gift and took me on a five-day cruise…. see??? Spoiled! It was relaxing and wonderfully un-chaotic. This Fall, with my traveling and his hockey coaching, we have not spent much quality time together. So we decided to get away for a few days, being that he’s been saving his holidays at work for our trip to Colombia to get our little Zaza…. but that hasn’t materialized at present….. and the vacation days keep piling up. So we used four of them. Whooo HOoo! One of the ports of call, TOTALLY exotic beyond belief, was Catalina Island! (ha ha) Rick and I haven’t been there together for 22.5 years, as our honeymoon was the last occasion. 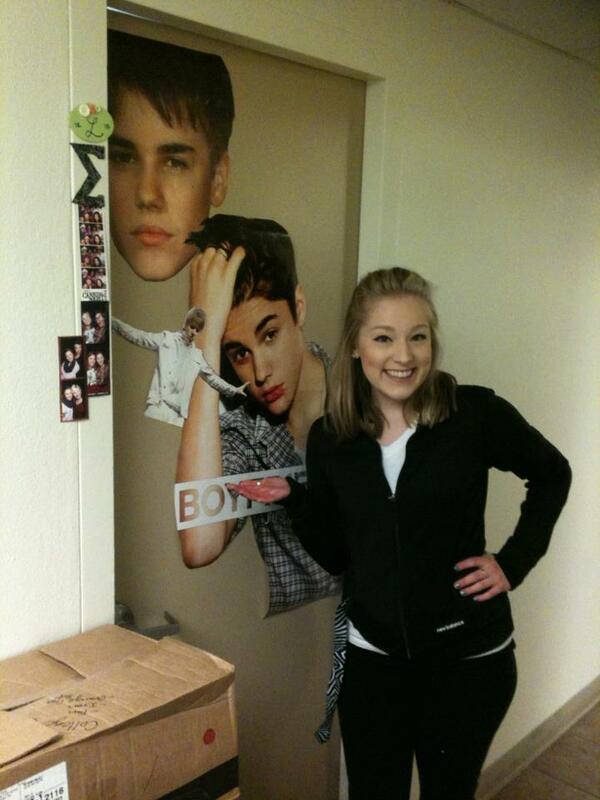 We were able to find the hotel that we stayed in and it literally looks exactly the same. The little town, however, has dramatically improved and is quite charming with shops and shops and more shops. So we went in the shops since they were plentiful. 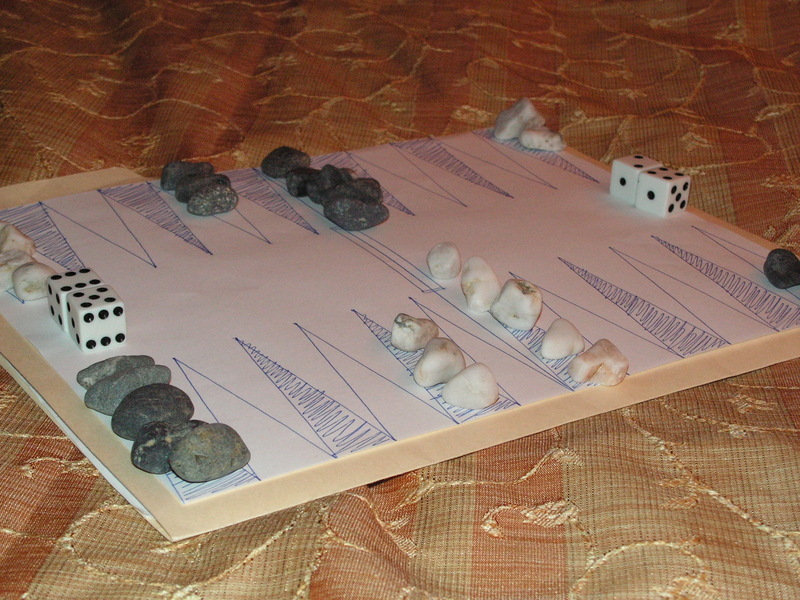 One of my brilliant pre-cruise plans was to dig out a little bag of white and black rocks that we picked up on the beach last time we were in Catalina… and made a backgammon game on a grocery bag. No one told us to bring games or reading material on our honeymoon. Duh! But I forgot to take it along. So, being incredibly sentimental and bored once again, we once again picked up 15 white rocks and 15 black rocks and made a backgammon game on a piece of paper. It was much more advanced this time as I used a brochure to make the lines straight. We played many games of Acey-Ducey on this trip. The highlight of the cruise, however, (if you can beat a homemade backgammon game!) was Rick taking the championship medal for the on-board ping-pong challenge. He beat several people to come out victorious and he wore his medal to dinner that night. He made sure everyone knew that you couldn’t BUY the medals on board. You had to WIN them. Makes me so proud. As we were leaving the ship, he kept pointing out people whom he had decimated at the green table. “See that guy in the blue pin-striped shirt? I beat him.” A few minutes later, “See the tall guy with the dreadlocks? I beat him.” I asked him if he wanted me to stop the line to immigration, open the luggage and find his medal so he could wear it. He said no. Party pooper.